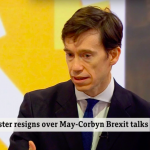 Every Sunday night, Rory Stewart draws a multi-coloured flow chart mapping out the possible Brexit scenarios. “It begins with six or seven immediate paths but then each one divides and subdivides,” he explains. “You have to hold in your head 25 outcomes and if you are me all bar two or three are horrendous.” The prisons minister, who was an officer in the Black Watch, a diplomat in the Balkans, deputy governor of an Iraqi province and a Harvard professor, and also set up a charity in Afghanistan and advised Barack Obama before becoming Conservative MP for Penrith & the Border, is using all his negotiating skills to persuade colleagues to look beyond the immediate Brexit crisis. Mr Stewart, who has been one of the staunchest defenders of Theresa May’s deal, is not a traditional career politician. Brad Pitt once bought the rights to his life story, with Orlando Bloom lined up to play the leading role. “I wanted Danny DeVito,” the diminutive MP laughs. The author of two bestselling books, including an account of his 6,000-mile walk across Iran, Nepal, Pakistan, India and Afghanistan, he has studied 11 languages although he admits he has forgotten “almost all” of his Serbo-Croat, Nepali and Urdu. An adventurer, whose father was a spy, his hero is Lawrence of Arabia and he once worked as a tutor for Prince William and Prince Harry and even delivered his first son himself. This is not what the prime minister says, but he won’t criticise his boss. “I feel really proud of her. I think she’s doing a really tough job . . . I mind that when she makes a slightly disobliging comment about MPs everybody gets hypersensitive, but they all think it’s fine to slag her off.” The Brexiteers are already calling on Mrs May to stand down but the prisons minister insists she should “stay as long as she wants to stay”. This week Tom Tugendhat, another former army officer, said there should be a “new generation” candidate but ruled himself out. Why is Mr Stewart still considering running? “I don’t think it matters what their generation is or if they are in the cabinet, it has to be somebody who can stand for the centre ground of British politics and Tory values,” he says. 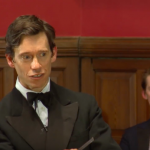 The Old Etonian admits his education could work against him. “David Cameron is not awfully popular and he’s an Old Etonian. I think it is a disadvantage for a leadership candidate to be an old Etonian, I don’t think it’s an impossible one to overcome.” The next Tory leader needs to be “energetically optimistic but realistic”, he says. Floating voters want somebody who is going to “transform air quality in London, deliver 5G broadband mobile coverage throughout the country. . . love Remainers as well as Brexiteers”. The attempts to deselect moderate Tories including his boss David Gauke, the justice secretary, are in his view “heartbreaking”. In Afghanistan he became weary of the liberal interventionists and their big ideas and he feels the same about the Brexit revolutionaries who favour creative destruction. “You have to begin the way things are, loving Britain in all its weirdness and facing it unflinchingly. I hate ideology, I love ambition,” he says. Career Served briefly in the Black Watch and then joined the Foreign Office, working as a diplomat in Indonesia and Montenegro. From 2000 to 2002 he walked across Pakistan, Iran, Nepal, India and Afghanistan and wrote The Places in Between. After the invasion of Iraq he became deputy governor of Maysan province. He became professor of human rights at Harvard in 2008. Elected MP for Penrith & the Border in 2010, his government jobs included a spell in the Foreign Office before he became prisons minister last year. Family Married to Shoshana with two sons. He delivered their first child himself at home in Cumbria. Article first published in Prospect by Tom Clark on 12 April 2019. Shortly before the referendum, I recall reading Matthew Parris in the Times arguing that a Leave vote would “destroy” moderate conservatism in this country. At the time, this struck me as columnist’s hyperbole. 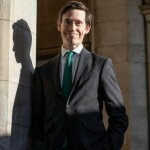 This week, however, I met with prisons minister, one-nation Tory and the unlikely star salesman for Theresa May’s Brexit deal, Rory Stewart, and found him gripped with a very real fear that something like the Parris prediction could soon come to pass. Fittingly, I end up interviewing the greatest walker in parliament—he’s been known to get up before dawn to walk between Oxford and London in a day—on the move. He shuns a ministerial car, he tells me, not out of puritanism but because he can’t stand London traffic. Sensible enough. But it means I’m left scribbling notes darting along Commons corridors, Underground tunnels, then on District and Victoria line carriages, and in the ticket office at Euston. With some interviewees, the conversation and the notes would have been extremely scrappy as a result, but not with Stewart. Perhaps because clarity with language is almost an obsession, something he sees as inseparable from his politics. 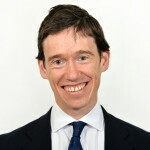 Coming back to Brexit, through buzzwords about sovereignty and independent trade policies, he now sees many a Conservative being “pacified by a clever line.” Although he is quoting Auden here, which will make him a bit too “clever” for some tastes himself, he brims with passion about the peril of being bewitched by warm words about ‘just getting out’ or ‘simply finding our own way in the world.’ When others—as David Davis did on Thursday—say no deal is “perfectly manageable” and “can be done,” Stewart answers the reassuring generalities with granular and alarming specifics. Surely, I venture, if it’s really going to be that bad, plenty of senior Conservatives will in the end rally to speak up against it. But Stewart isn’t confident. There is, he says, an “absolutism” creeping into the rhetoric, that makes people “embarrassed” to talk about the compromises than any negotiated Brexit involves. His willingness to acknowledge has become rare. Which is why he now finds himself so regularly put up on TV to explain, though he voted Remain, why the prime minister’s deal is the best way to strike a balance between the desire to “honour the mandate,” gain some control over the borders, while protecting trade and jobs as best as you can. That certainly sounds Tory enough to me. But this week the majority of the party’s MPs—100-odd outright rebels, and 80-odd abstainers—declined to back May’s request for the Article 50 extension, even though it has become a pre-requisite to any negotiated Brexit deal. So one can see exactly why Stewart is worried. He would “never” vote for no deal, and it’s pretty plain to me he doesn’t think he could even be a candidate for a party that made no deal its manifesto policy either. And Stewart clearly sees the possibility that this could happen soon. Dominic Raab, Boris Johnson, perhaps Andrea Leadsom and others will imminently be fighting a leadership contest in which—thanks to the deep Euro-scepticism of the voluntary party that ultimately picks the new leader—the crown could easily go to whoever dares to take the hardest anti-Brussels line. Parliament will still be gridlocked, and so a new PM might very well write their manifesto and take their chance on an early election. If the sort of bottom-up No Confidence votes that have been snapping at the heels of the likes of Dominic Grieve could be combined with top-down pressure to support a no deal platform, perhaps the Tory party really could be purged of dissenters until the point where it becomes a no deal sect. I air my own hunch that the affection of local activists for their MPs would preserve some diversity, but Stewart seems much less sure: “very sensible moderate colleagues who basically agree with me that a no deal Brexit would be a very bad thing, are under so much pressure from local parties, the associations, from the pressures from the leadership to feel that maybe it will be OK… maybe we can advocate for it, it won’t be the end of the world. They don’t feel as I do that there is a logical, inescapable, unbreakable connection” between “deliberately severing all connections with Europe” and the sort of party you are. That it seems, is where the Tory party has left this thoughtful and loyal minister of the Crown. 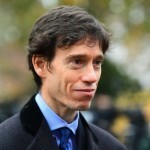 He doesn’t relish the coming war: at the start of our conversation, he is fretting about whether the fractious mood of the moment has led him to be ruder than he would ordinarily have been about Boris Johnson, in another interview with the Times. But listening to him, I feel I was wrong to assume, three years ago, that Matthew Parris was exaggerating when he asserted that a Leave vote could turn out to be terminally ruinous for his Tory tribe. Article first published in Conservative Home on 4 April 2019. A Brexit deal is not just a deal for this month, or this government – it is the foundation for the next 30 years of Britain’s relationship with the world. So it must be a stable and enduring Brexit. Reaching out to other parties on this issue was difficult and controversial. But it was right. It was necessary to deliver a Brexit deal, and avoid the problems of No Deal. But it was also necessary strategically to heal divisions, and provide investors and international partners with the certainty that the deal can be sustained through the changes of government and party over decades ahead. The alternative – a No Deal Brexit next week – would not have been a destination, but a failure to reach a destination. There is no transition under No Deal. We would have crashed out with the Irish border issues, our payments to the EU, and citizens’ rights unresolved – and our entire web of relationships with the EU severed. Almost all our current agreements with the 70 nations with which the EU has free trade agreements (including Japan and Canada) would have ceased to operate and we would have been forced to revert to the basic ‘schedules’ of the World Trade Organisation – by definition the highest tariff rates possible for any goods in any country. We would have dropped into the margins of the world’s trading system. Meanwhile, all the fundamental divisions in public and parliament would have remained after No Deal, undermining whatever we did next. Parliament and the public would still have disagreed about the compromises involved in every future arrangement. No Deal wouldn’t have told us whether to accept US wheat prices, or chicken. No Deal wouldn’t have helped us to decide whether to accept India’s demand for hundreds of thousands of visas for Indian citizens. This is because No Deal would simply have been the result of an inability to agree on any particular deal. And our inability to agree now and in the foreseeable future would have led to a long and messy delay – in part because we would have been negotiating with giants like the US, from a weaker economic position than we are in now – with President Trump very aware that we needed the deal far more than he did. Which brings us to ‘Project Fear’. Much has been made of the fact that economists cannot put a precise number on a No Deal Brexit – in part because so much would depend on market confidence. (If investors and consumers were confident that we knew what we were doing, and have a clear vision for exactly what deals would follow No Deal, they could make a difficult situation better; if not…). But just because you can’t specify exactly what will happen when you drive into a tree, doesn’t mean that is safe to do so. We know enough to know that if had we defaulted to a No Deal Brexit, the car industry and farming would have been in serious trouble. Friction at the border would have compromised automobile just-in-time supply chains (some automobile parts cross the Channel multiple times in the course of making a car), and disrupted supplies of fresh food from Europe. Under No Deal proposals we would pay €95 a tonne to export wheat to Europe, and 46 per cent tariffs on the millions of sheep we export annually. The few economists who try to describe this airily as a ‘medium-term adjustment, through changes in currency and production’ are not thinking through what this would mean for a farm over the next 12 months. We would have been forced to revert to slow and cumbersome systems of extradition and information exchange, hindering our ability to fight crime. And there would have been a dismal running media story of chaotic queues, anger at supermarkets, and a general sense of a government losing control. The economic consequences would have been felt in a squeeze on household incomes, and in a government forced to borrow more and struggling to pay more for public services. Perhaps worst, a hard border would have been forced on Ireland with no transition – challenging the principle of the Good Friday Agreement, creating inevitable problems for security, increasing demands for Northern Ireland to leave the United Kingdom. And for Scotland to leave as well. Which is why anyone who believes in Brexit, and wants to make it a success, should be grateful that the Prime Minister did not give into pressure from people who felt No Deal was a neat answer. It was never the answer to anything. It was simply kicking the can down the road into economic fragility; without defining any future relationship; and ruining the one thing that investors and partners have prized in Britain for 300 years – our reputation for steadiness, prudence and competence. We disagree passionately with Jeremy Corbyn on the economy, on security, and on international relations. And always will. He is profoundly wrong on those things. But we can find a common position on Brexit when we can on almost nothing else. More than half of Labour constituencies voted Leave. The majority of MPs on both sides of the House want to leave the European Union, end unnecessary EU interference in our regulations, and end free movement of people. Only a minority want to remain in the EU, or hold a second referendum. And getting a deal agreed not just on one but on both sides of the House will provide a more solid foundation than a one-party deal. It will allow businesses to believe that the settlement will last through any number of changes of party or government in the decades to come. This is crucial for investors. Let’s please get it done now. And then having proved that there are some things we can do with other parties, get back to doing things which only Conservatives can do. We are the party to transform education, health, law and order, the economy and security. We are the party of government. Above all, let us go on to master Brexit in all its details – get a deal that works, for example, for our digital industries, media and financial services – and back those international relationships, with the right economic environment, the right education, and the military and diplomatic authority to reinforce and strengthen our position in the world. Rory met with staff from Cooke Aquaculture to celebrate the launch of the Burn Banks site’s new permit limits and Environmental Management System. He was given a tour of the premises at the foot of Haweswater dam and shown several of the 220,000 juvenile salmon, which had grown up on site. Salmon grow in freshwater released from Haweswater in pools at the Burn Banks site until they reach a size where they can be sent to sea and grow into mature salmon. The sale of the mature fish from Cooke’s UK operations net the UK £88million a year in exports, with sales predominantly to the EU, USA and China. In order to secure the site’s future, a new Environment Agency permit was required. After 10 years of biological and water quality monitoring of the local beck, the limits required to secure the site’s long term future were finally agreed with the Environment Agency and the site’s consultants, Peak Associates, who are based at Lancaster University, in January 2019. 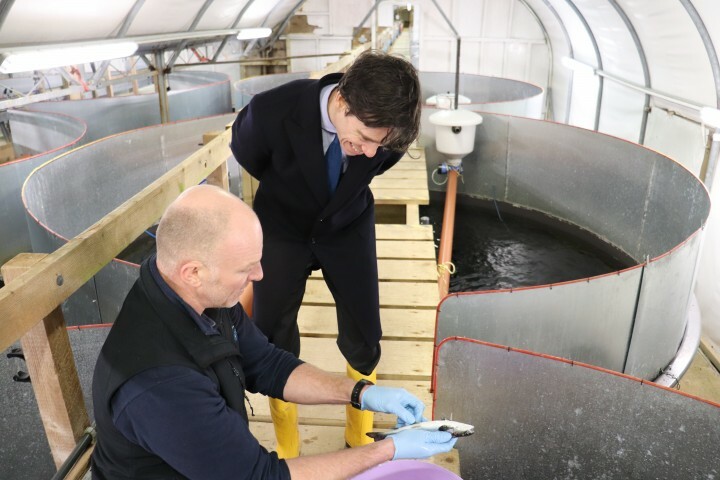 Cooke Aquaculture will now continue working with Lancaster University’s experts in water quality to make sure that any impact from the site remains within acceptable limits. Ensuring the site remains within sustainable limits will be key for the next 10 years as issues can be caused downstream when too many nutrients go into upland becks. 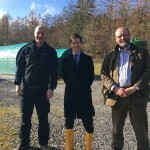 Nick Smith, Site Manager at Burn Banks Smolt Unit, and Mike Matthews, Managing Director of Peak Associates, thanked Rory for taking time during the early stages of the review to make sure Cooke Aquaculture, the Environment Agency and Natural England understood the need to achieve a balance between protecting the environment and ensuring export led businesses like Cooke can thrive in rural communities. After over 12 months of negotiation all parties were eventually happy with the new limits and agreed that this balance had been achieved.